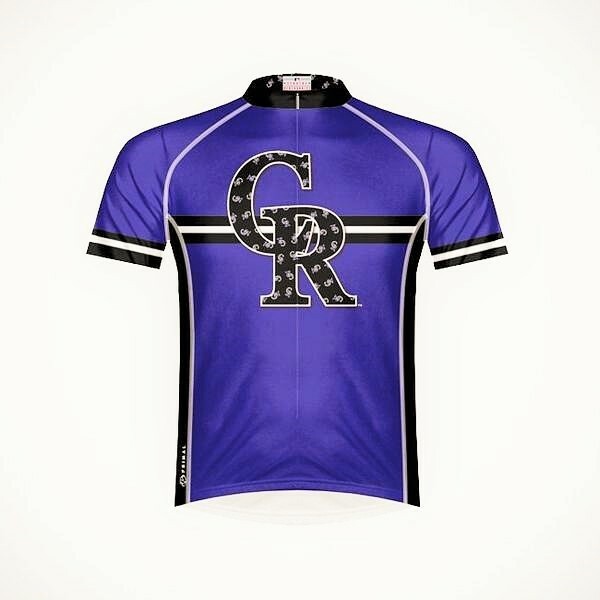 Colorado Rockies Men's Cycling Jersey. THIS JERSEY SHIPS FREE IN 2-3 BUSINESS DAYS! ALL US ORDERS SHIP FREE! 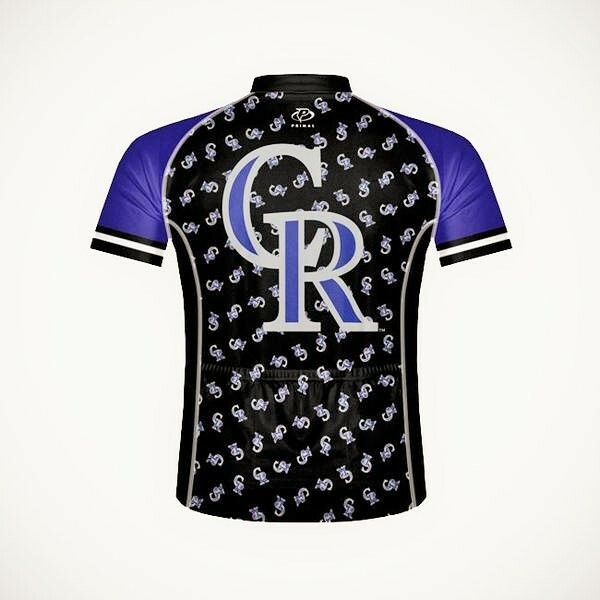 The Colorado Rockies Men's Cycling Jersey is made from 100% SpeedPro advanced moisture transfer fabric used to "wick" or pull the sweat away from the body but keep your body temperature at a constant. Made by Primal Wear.